I know that quite a few of you have been enjoying these DIY quilled paper crafts that I’ve been sharing and I’m so excited to bring you another one! 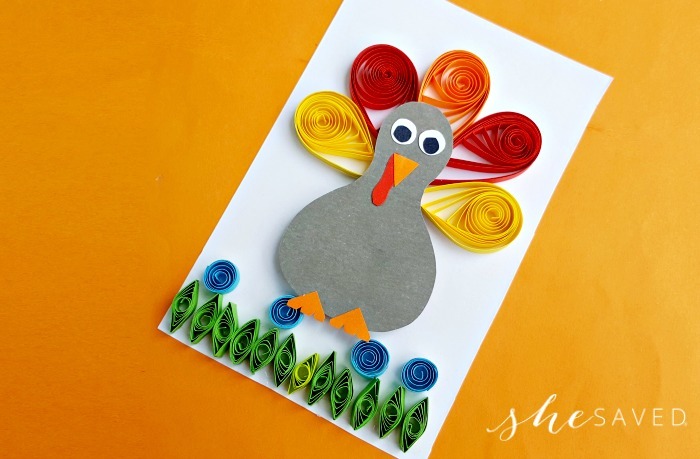 A few weeks ago, I shared this Quilled Fall Tree craft and this fun Quilled Turkey Craft would be a great addition to your fall quilling projects and also a his would be a fun classroom project and a great way to decorate for the season! 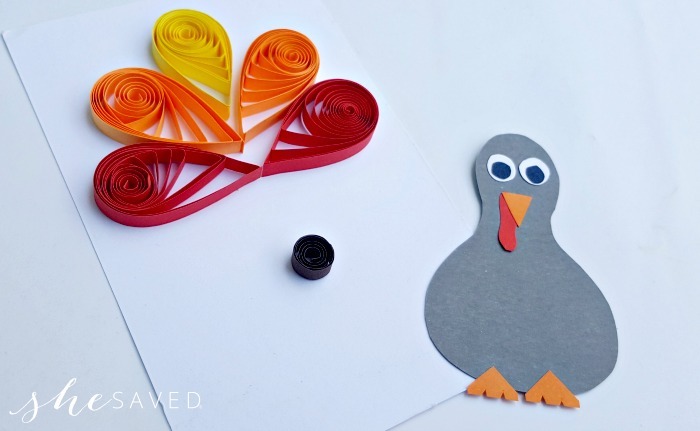 We love paper quilling because it’s so easy and it’s a craft technique that works for everyone PLUS we love that the supplies are inexpensive and easy to get. 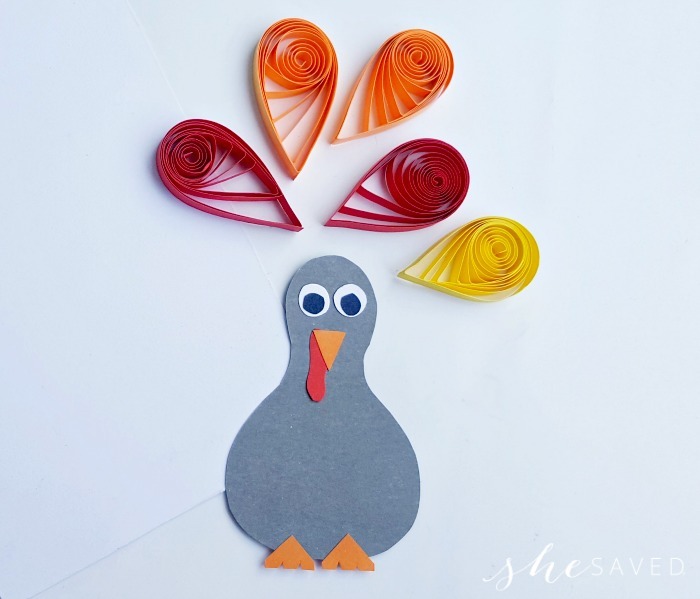 This quilled Turkey craft project is no exception! 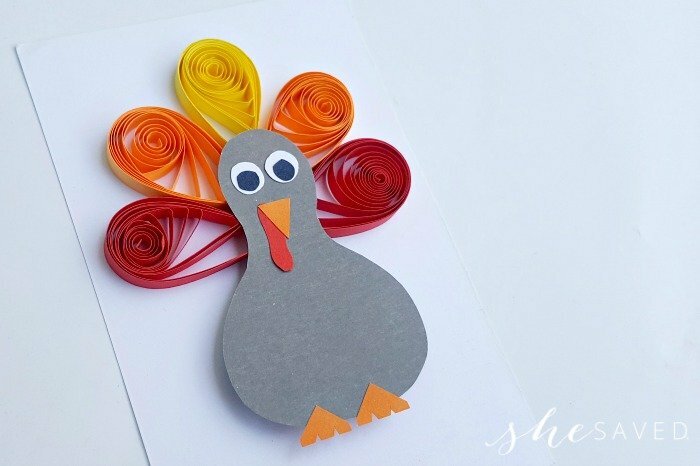 Select fall colored quilling strips for this project. 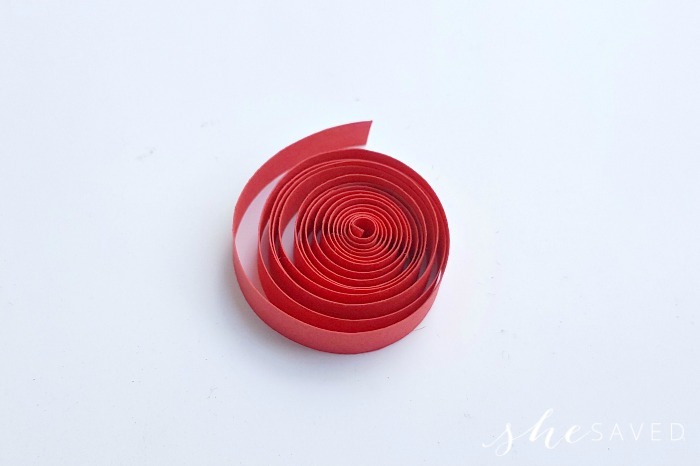 Take a 20 inches long quilling strip and coil the entire strip with the help of the slotted quilling tool. Carefully take out the coiled strip out of the slotted tool and allow the coil to loosen up. Take the loose coil and press any 1 side of it to form a teardrop shape. Glue the open end of the coiled strip to secure the teardrop shape. 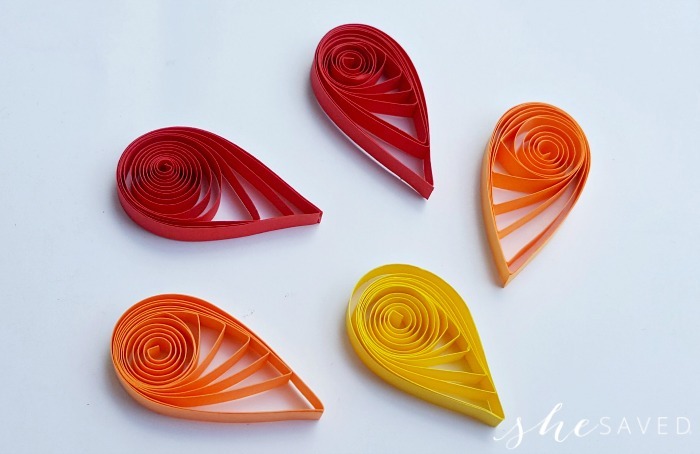 Similarly make 4 more teardrop shapes using 20 inches long quilling strip. Use different colors rather than using the same colored strip. 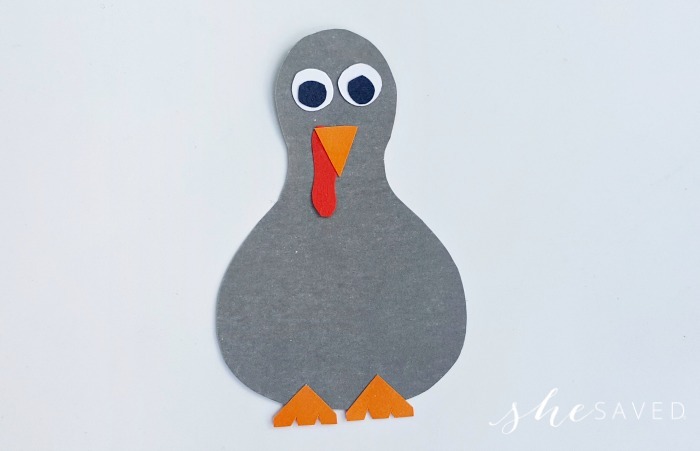 Select colored craft papers for the turkey and trace the patterns from the printable turkey template on the selected papers. 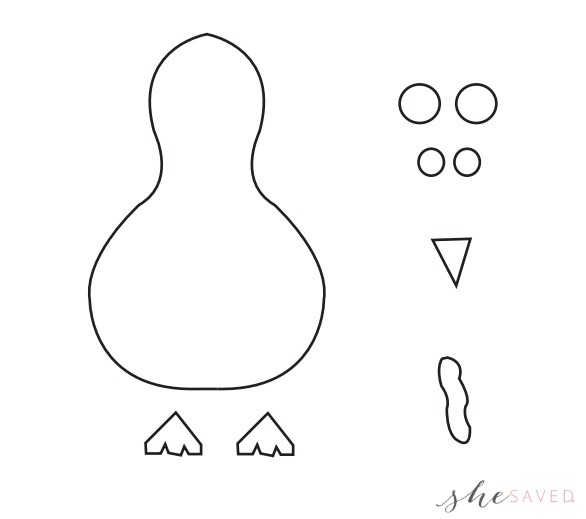 Use scissors to cut out the traced patterns. 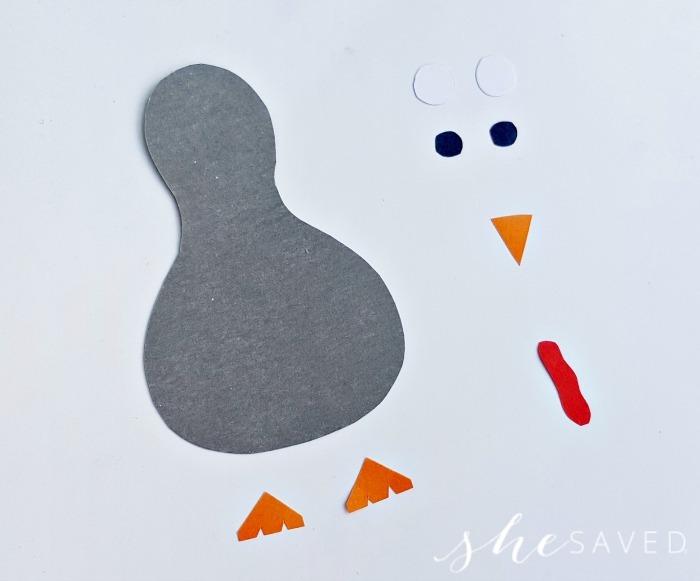 Simply stick the parts together to form the body of the paper turkey. All items ready? 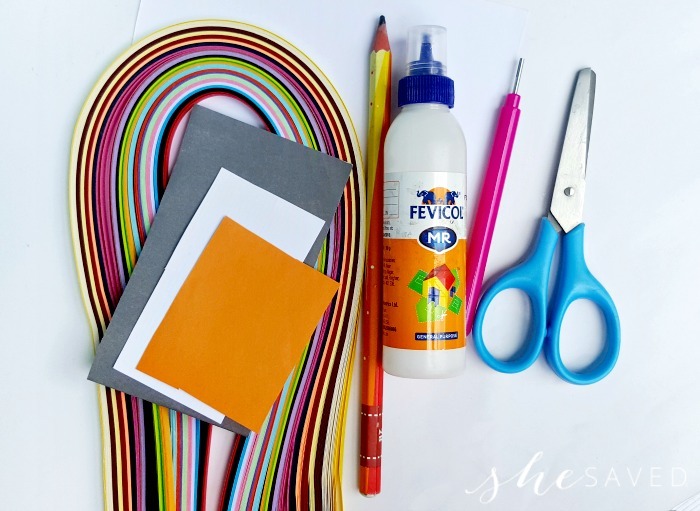 Prepare a piece of white stationary paper (or any color you prefer). Grab the prepared items and craft glue. Stick the teardrop shapes on the paper with their pointy edges towards the center and all 5 teardrop shapes adjacent to each other. Also, use a 10 inches long quilling strip to form a loose coil; stick the loose coil 1 inch below the teardrop shapes. Now stick the paper turkey body on the loose coil; it’s better to apply glue on the loose coil and then placing the body on it. Gently press the body on the loose coil to make sure that it is glued nicely. Add more details as you wish. 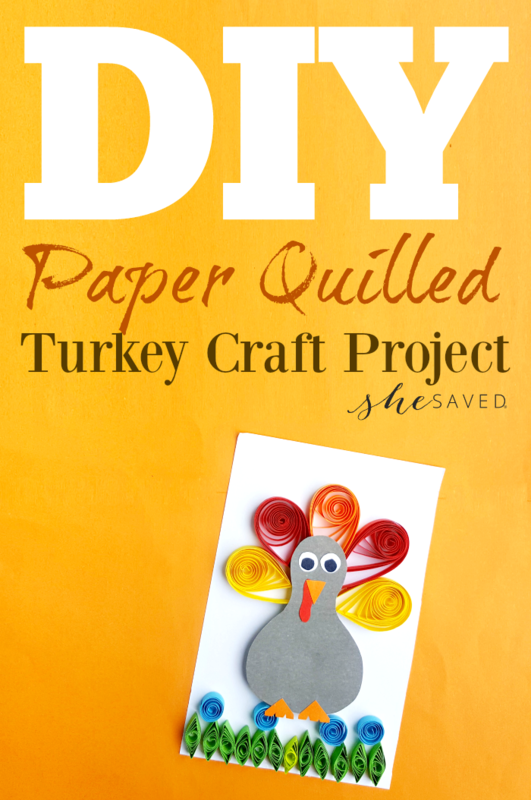 Looking for more fun paper quilled craft projects? Make sure to check out our Quilled Paper Unicorn tutorial, our Quilled Rainbow Craft and our Quilled Flower Basket project along with the Quilled Flower Frame. 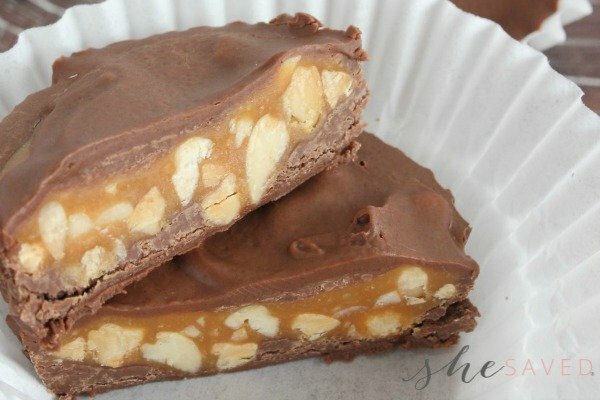 We love crafts and here and one thing you can count on is that we keep them pretty simple, so please check out all of our favorite DIY Craft projects! « Review of THE NUTCRACKER AND THE FOUR REALMS!